My friend Jordan is a pretty great cook and she gave me this awesome salsa recipe back in college. So when I got invited to a blogger brunch party this past Sunday, I decided to make it because I knew it would be a hit, and it was! Seriously, the bloggers were like, you need to post this recipe ASAP! 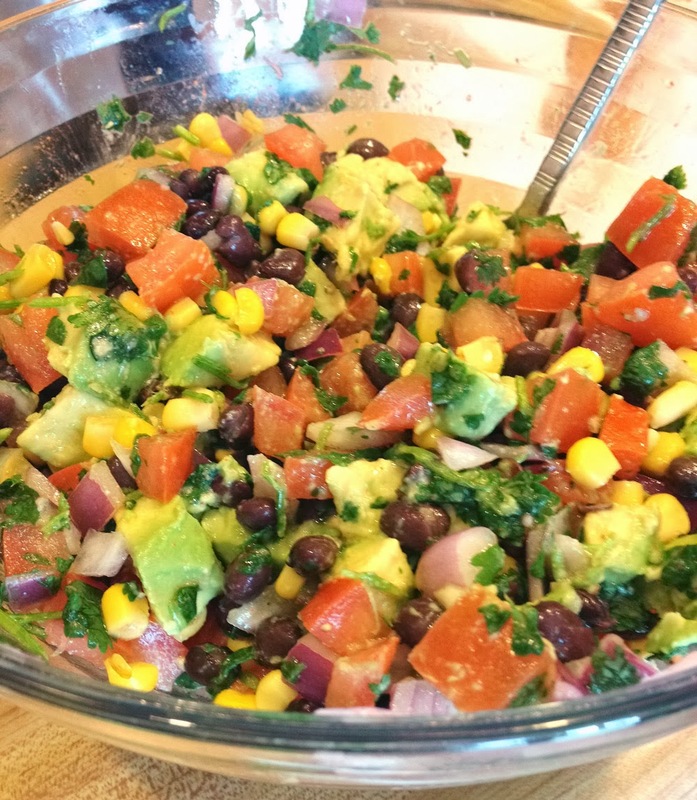 So here it is, the super-easy and very delicious black bean salsa. Just chop and mix all ingredients! Add more vinegar, olive oil, hot sauce, salt, and pepper to adjust taste. You can make the salsa the day before serving to let the ingredients soak in the lime but add the avocado just before serving. Scoop-type chips work best with this dip. Also great for tacos. What fresh fruits/veggies are you looking forward to this spring? I've been dreaming of this salsa since Sunday! So yummy! Glad you liked it…seriously easy to make!